Chinese is a language spoken by one out of six people worldwide, making it an excellent choice for students interested in learning a foreign language. In order to learn a new language though, it is necessary to build up your vocabulary base. Today, we will focus on learning the Chinese word for "soldier." By looking closer at the word and how its character came into existence, students will find it easier to remember the spoken and written word for soldier. The Chinese word for soldier is "shi4 bing1." The numbers refer to the tones in Chinese. The fourth tone sounds often makes words sound angry to the new language and produces a curt, shorter ending. This tone starts vocally at the top and falls sharply to the lowest pitch. Bing1 uses the first tone and has a slightly higher, level pitch. There is no additional stress placed on this word, the entirety of it should be pronounced perfectly levelly. For those who have not yet studied tones or pinyin, shi4 bing1 sounds like sh-beeng. Looking at the pictures, you will notice the first one labeled that shows the characters shi4 bing1. Both characters together mean soldier, but if you read each part alone, it means something else. The character for shi4 is made of two other words pushed together. 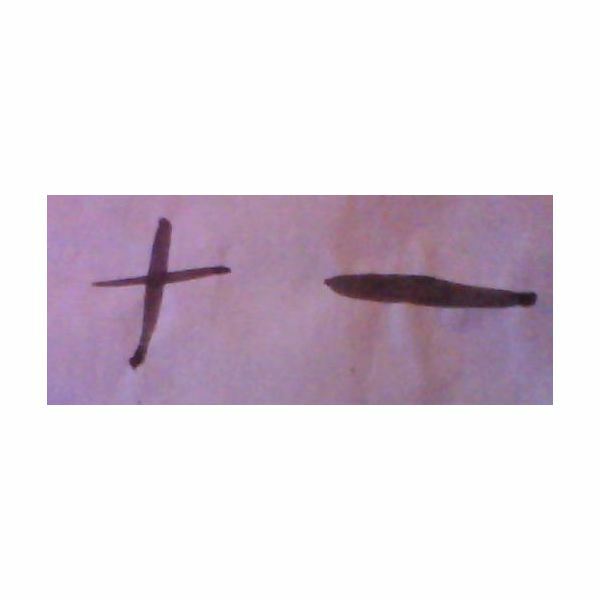 If you look at the other picture, you will see a character that looks like a t and one that looks like a line. These are the characters for ten and one, respectively. The character shi4 is a combination of these two characters and is a play on words. 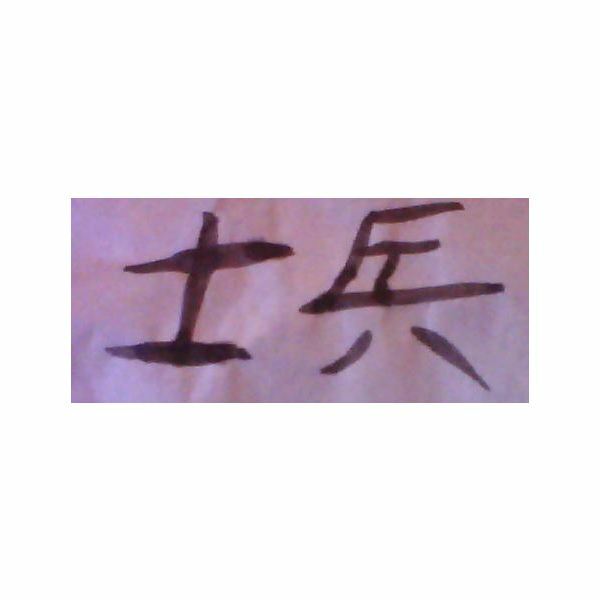 By itself, this character means "a person who knows everything from ten to one." The second character in the picture of shi4 bing1 is the character bing1. The etymology of this character is interesting to look at. Chinese characters were once pictographs, or pictures of actual things. Long ago, this character had been a drawing of two fists holding an ax. The ax at one point had been a weapon carried by soldiers. Over time, this character gradually changed into the one you see today. The bottom half of the character still represents the two arms that once wielded the ax. The top half of the character, however, no longer bears a strong resemblance to the ax of long ago. Taken together these two characters paint a picture of a man who knows everything from ten to one about weapons like axes. The etymology of the characters shows how today’s character came into being and provides a useful way to remember how to write the character. Learning the Chinese word for soldier can serve not only as a base for future language study, but also as a storied example of how many Chinese characters came into being. Lo Chiung-yu. Chinese Characters for Beginners. Panda Media CO. New York, 2002.